Noble-Minded | ". . . let God be found true, though every man be found a liar." This description is interesting in the immediate context because it stands in stark contrast to the reaction of the Jews in Thessalonica. The Bereans received the word with “great eagerness”, whereas the Thessalonians apparently had not done so. 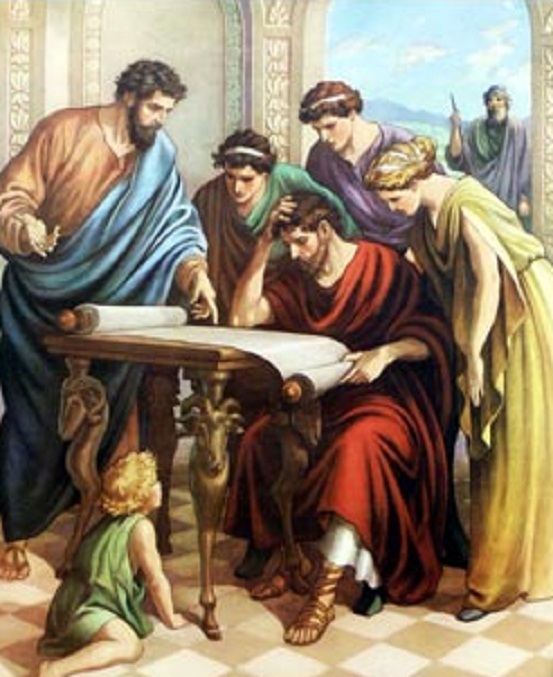 Also, the Bereans listened to the preaching of Paul and Silas and then verified their message by examining the scriptures to see if it was true to God’s word. It seems that the Thessalonians were not as diligent in this regard. It is no wonder, then, that the Bereans were considered to be “more noble-minded” than those in Thessalonica. The example of the Bereans prompts us to consider whether we today are as noble-minded as they were. How many religious people today simply accept whatever their preacher or their church leaders say, without question and without further examination? The plain truth is that far too many sincerely religious people do this very thing. We know this must be the case because of how often the doctrines of some churches change without any reaction from their members. The most extreme example of this is the number of mainline protestant churches that have recently embraced the LGBT agenda without any response from their members. If we allow the scriptures to lead us as God intended them to, we will periodically take inventory of our attitudes in this regard. A fundamental principle of scripture is personal accountability. Paul spoke of this in Rom. 14:12, where he said, “So then each one of us will give an account of himself to God.” In Rev. 20:12 John wrote that the dead would be judged by the things written in the books, “according to their deeds”. The point is that we will not judged according to how well we went along with our religious leaders. We will be judged by how we responded to God’s word. For this reason the scriptures call upon us to become personally familiar with their content. In 2 Tim. 2:15 Paul said, “Be diligent (or study) to present yourself approved to God as a workman who does not need to be ashamed, accurately handling the word of truth.” This is a personal responsibility, and we will not be excused from it by saying that we trusted our religious teachers and faithfully followed their teaching. As the Lord said about the Pharisees, who often distorted God’s word, “Let them alone; they are blind guides of the blind. And if a blind man guides a blind man, both will fall into a pit” (Mt. 15:14). The Bereans were more noble-minded because they would not take anyone’s word for what God’s will was, not even a well-known and respected apostle like Paul. They listened eagerly to the proclamation of God’s word, and then they took out the scriptures and verified that what they heard was the truth. This is how each of us should respond to the preaching and teaching we hear. We may fully trust our religious leaders, but we can only be certain about what they are teaching if we examine the scriptures daily to see if the things they teach are so. Our teachers and religious leaders absolutely bear personal responsibility for what they teach (Jam. 3:1; 1 Pet. 4:11; Acts 20:27, 2 Tim. 4:1-4; et al), but we bear personal responsibility for verifying that what they teach is the truth. These things being true, how noble-minded are you?